Will Spain's political transition bring stability for renewables? New political leaders in Italy and Spain have brightened the outlook for renewables in two of Europe’s biggest energy markets. Conte was sworn in as a caretaker head of state after months of wrangling between the two coalition partners that emerged from Italy’s latest elections. The center-right federation called League (Lega in Italian) and the populist Five Star Movement (Movimento 5 Stelle or M5S) both claim a commitment to environmental causes that might affect energy policy. And last month Platts reported the coalition had agreed on measures including greater support for electric vehicles and renewables. 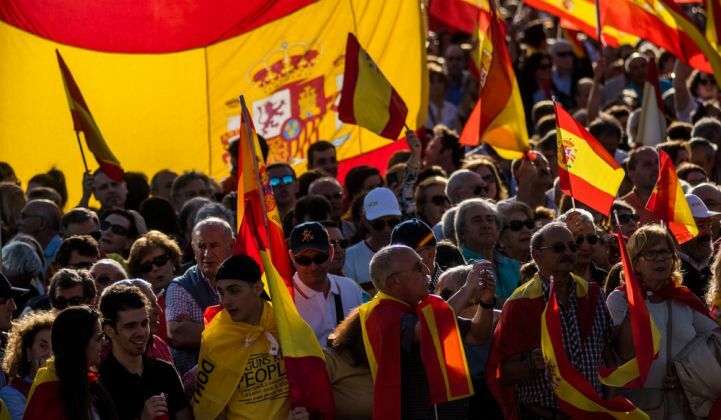 In Spain, citizens are still reeling from a change in government that took place within a week. There, Pedro Sánchez used a no-confidence vote to oust Mariano Rajoy as prime minister after senior figures in Rajoy’s right-wing People’s Party (Partido Popular or PP in Spanish) were convicted of corruption. Pulling a cabinet together over the weekend after the vote, Sánchez put distance between his center-left Spanish Socialist Workers' Party (Partido Socialista Obrero Español or PSOE) and the PP. Ribera’s stance contrasts that of the PP, which clamped down on admittedly out-of-control renewable subsidy payments in 2011 and then steadfastly refused to offer any concessions to the industry afterward. Plant owners found themselves in a regulatory quagmire as the rules of the game continued to change. Wind and solar installation rates plummeted. Only in the last couple of years, as Spain came close to missing European targets for renewables adoption, did the PP open the door to developers with a series of auctions. Even then, renewable energy groups criticized the design of the auctions. Although Spain’s new government appears committed to a different approach, it remains to be seen how much the administration can achieve in practice. Sánchez’s party only has 84 representatives in Spain’s 350-seat Congress of Deputies, making it the smallest minority government in the recent history of the nation. And political allies could be hard to find as rivals to the left and right of the PSOE push for elections. In Italy, meanwhile, Conte’s room for political maneuver could be hampered by the need to service an estimated €2.3 trillion ($2.7 trillion) in debt. Foreign investors may also be wary of the anti-European rhetoric that helped propel Lega and M5S to power. For now, though, European policymakers are all in on renewables. According to Euractiv, the European Council upped its 2030 renewable energy target from 27 percent to between 30 percent and 33 percent. The target is currently being discussed by the Council, the European Commission and the European Parliament, which was pushing for 35 percent but has now cut its proposal to 34 percent.